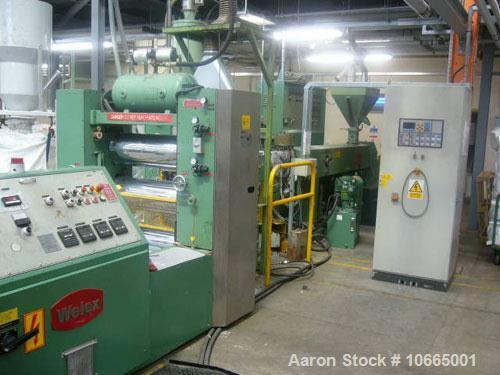 Unused-890 mm wide Welex Coextrusion sheet line. 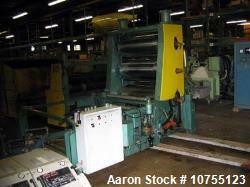 Unused-890 mm wide Welex Coextrusion sheet line. 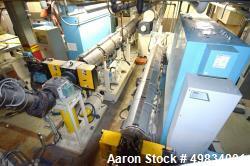 90 mm main extruder, 50 mm coextruder, 890 x 300 mm rolls, pump group, haul off, 2 station winder, 1990. 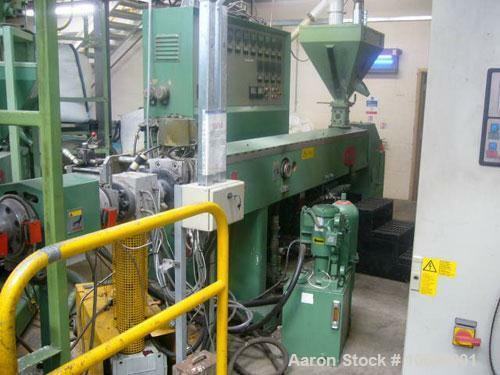 90 mm Welex single screw extruder, 30D vented. Water cooled barrel. 100 hp DC motor and drive. 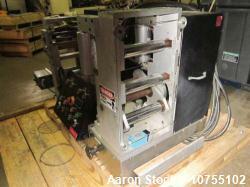 Hydraulic screw changer with power pack and accumulator. 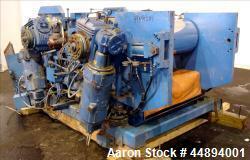 Maag model 56/3T gear pump (2000) with DC motor and right angled gearbox. 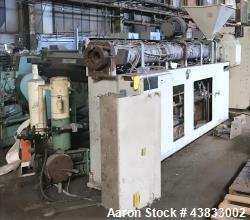 50 mm Welex single screw coextruder, 24:1. Fan cooled barrel. Static mixer. 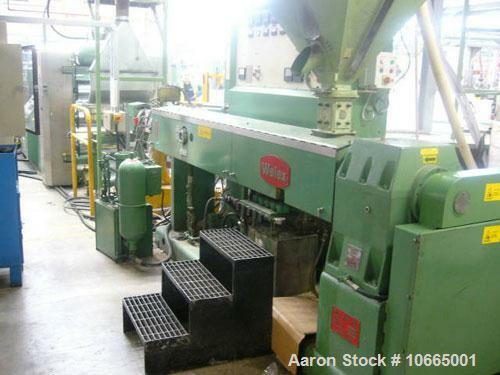 Welex ABA coextrusion block with interchangeable plates. EDI Flex lip sheet die with no choker bar. 1993. 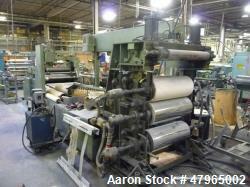 Welex 3 roll polishing stack - World Standard type. 3 x 890 x 300 mm chrome polishing rolls. Pneumatic nip top and bottom. Integral 3 zone pump group with proportional valves. 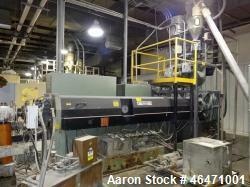 Inclined cooling conveyor to 2 roll haul off (890 mm wide). Pneumatic nip. 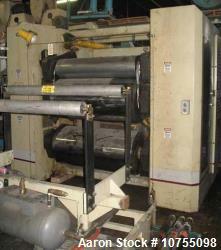 2 roll integral winder. Rapid soundproofed edge trim granulator. Was last running PS and PP.